Always on the pulse: We conduct research and development in order to have innovative processes available to our customers. At the same time, cost efficiency and process safety remain at the center of our endeavors. Our inventiveness has been distinguished on numerous occasions by the GKV with the Technical-Parts Prize. 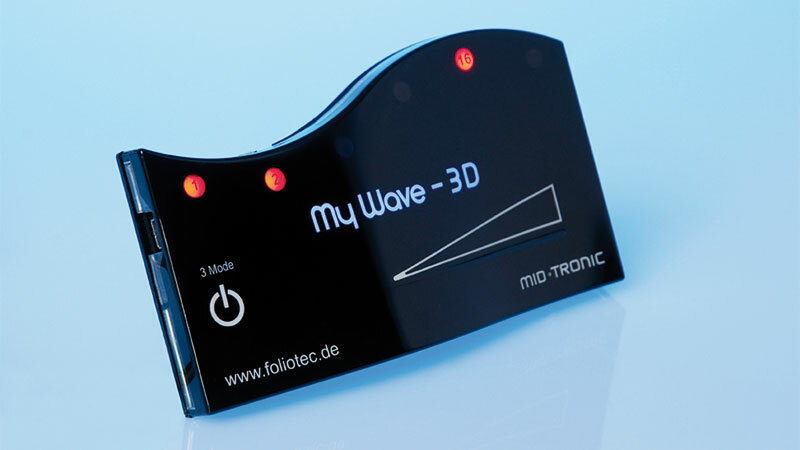 As flat as possible: Printed conducting paths with applied electronic components open new dimensions with the integration of electronic 3D-shaped components. SmartWave already presents the design of tomorrow’s car interior, today. 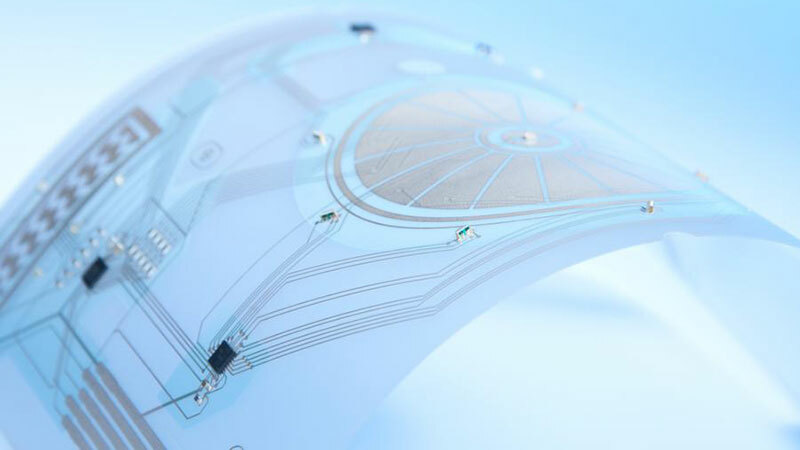 Buttonless control by means of capacitive fields on an undulating component. 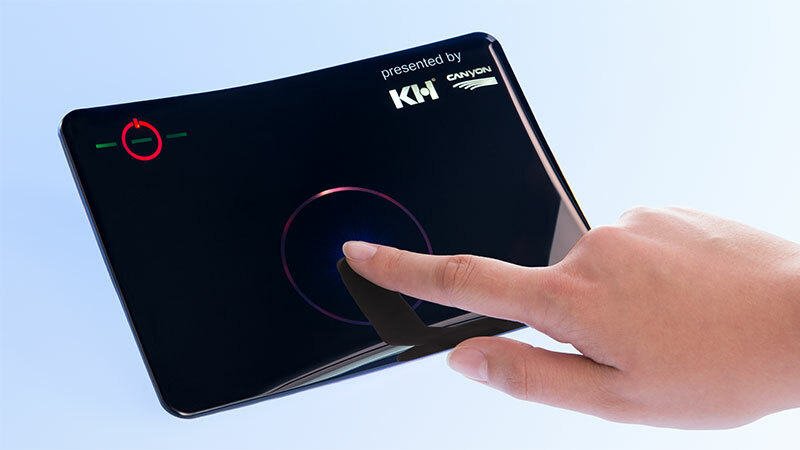 The KH innovation team first investigated this possibility with the development project MyWave – 3D. 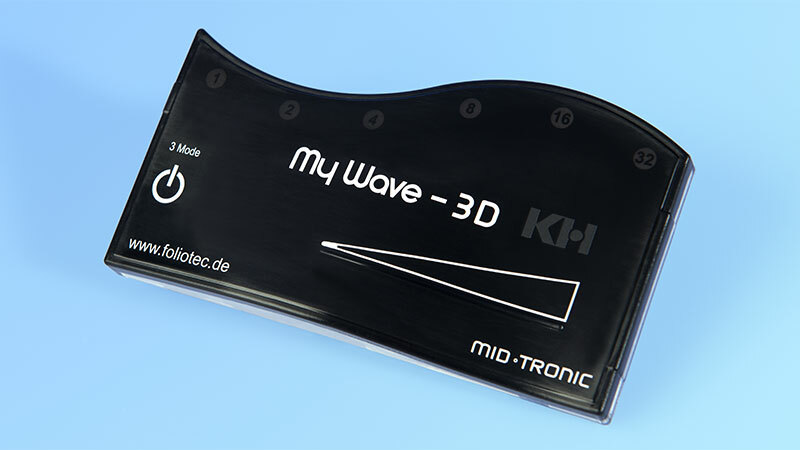 A 3D-shaped circuit board contained the functional electronics, the mere touch of which set a row of optical effects in motion. Capacitive operations are becoming more and more popular. The advantage: lower installation height and therefore, associated weight saving. The solution is conducting paths printed onto foil which can also be combined with a decorative foil and back molded with plastic as required. See SmartWave. Change at the touch of a button: First a green symbol then red lettering – both at the same point on the plastic surface. 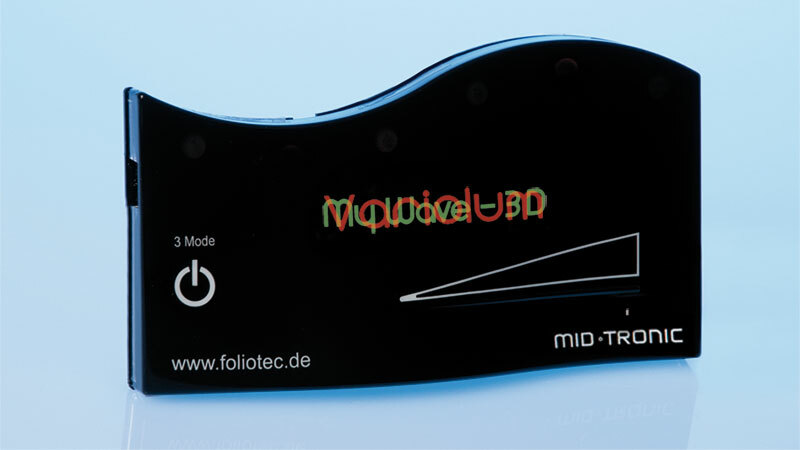 Behind the VarioLum technology is a multi-layered structure in the printing of the IML foil. Vertically arranged color filters selectively allow certain wavelengths of light to pass through. A surface which heals itself when damaged? With coatings of polyurethane (PUR) this wish becomes a reality. 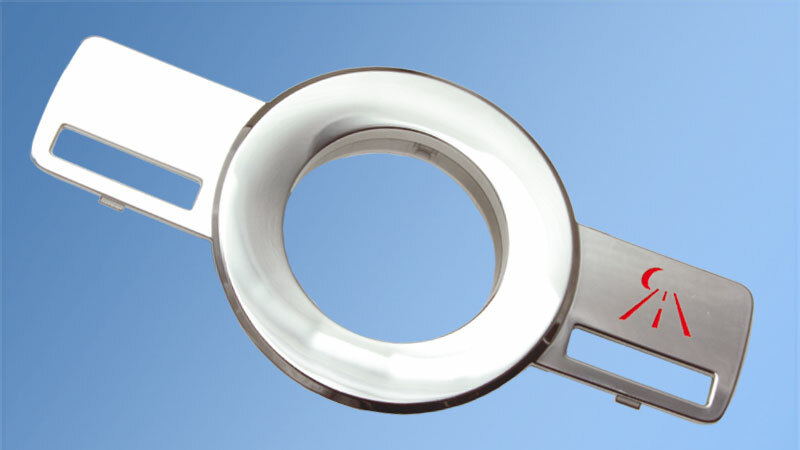 Applied directly in the tool, the surface of the component is provided with a protection having optical and functional qualities which can be individually adjusted. 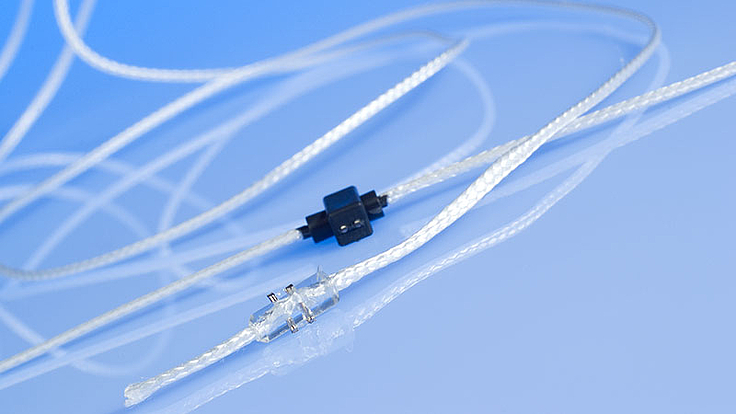 High-tech rope with injection molded retaining elements in plastic: wirelution® can replace wire ropes in technical applications and offers a string of advantages. 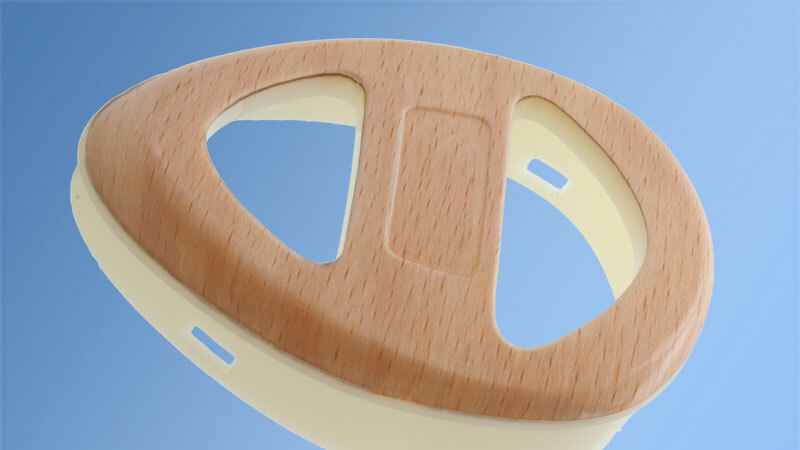 A patented process with two metal pins and a two-stage injection process guarantees the secure fixation of the support fitting. From raw veneer to a high quality plastic component with an authentic wooden surface: First of all the veneer is laminated at the back with fleece and its surface is ground flat. Together with a PC foil it can then be three-dimensionally formed. The following IML process delivers finished parts with protected authentic wooden surfaces, variable gloss finishes and noticeable texture. The new secret of partial chroming: A galvanisable foil is formed, stamped and back molded with a non-galvanisable plastic using IML processing. In the subsequent galvanic bath the metal is only deposited on the foil and the rest of the component body remains free. The quantifiable advantage: 2C tools and complex masking technology remains superfluous. 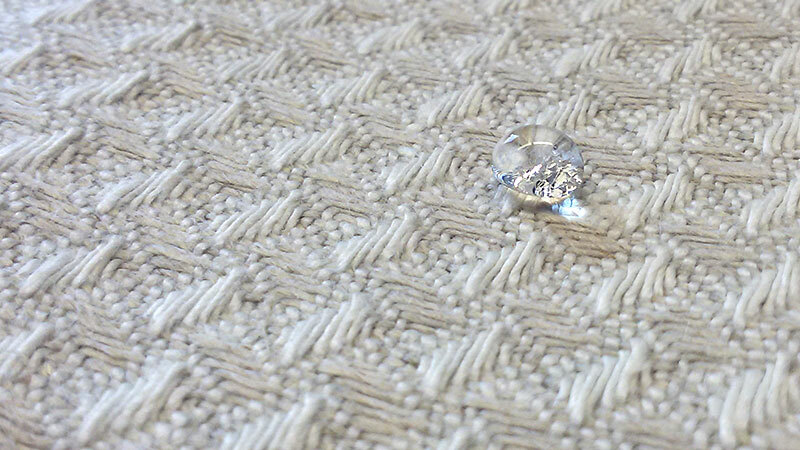 Together with specialists for technical textiles, KH is pressing forward with the back molding of fabrics in order to produce highly functional components with attractive haptic properties and appearance. Possible areas of application: sound-absorbing operative elements for the car interior, casings for electronic appliances or perhaps, sophisticated furniture fronts.